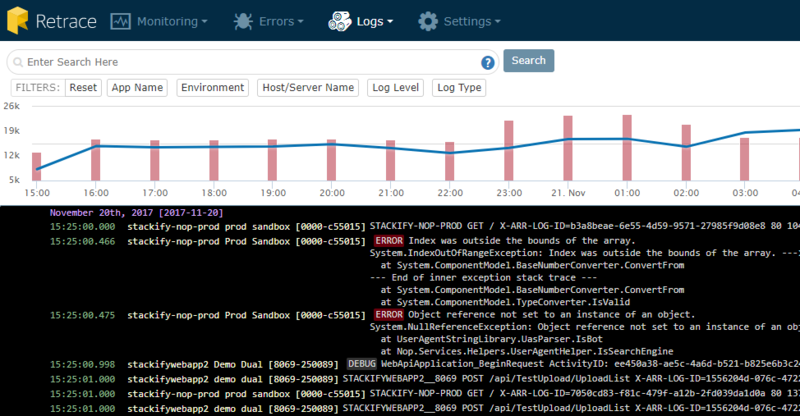 Stackify's Errors and Logs API enables you to get more from what you're logging. Simply plug in a Stackify appender into your existing framework, or log your messages directly to Retrace without a framework via the Stackify API. Once properly configured, you will be able to get more contextual information about your exceptions, view your app's log messages, begin correlating exceptions with other problems, and even monitor error rates in your production applications to detect error spikes. This article will give you an overview of what you can do in Retrace with the Errors and Log Dashboards after successfully configuring your project with Stackify's API. At the end of this article are links to configuration guides for our supported logging frameworks. From the Errors Dashboard, you can get an overview of all the exceptions of all your applications across different environments. It gives you a central location to view details about your errors. To see more information on this, see the article titled Errors Dashboard. 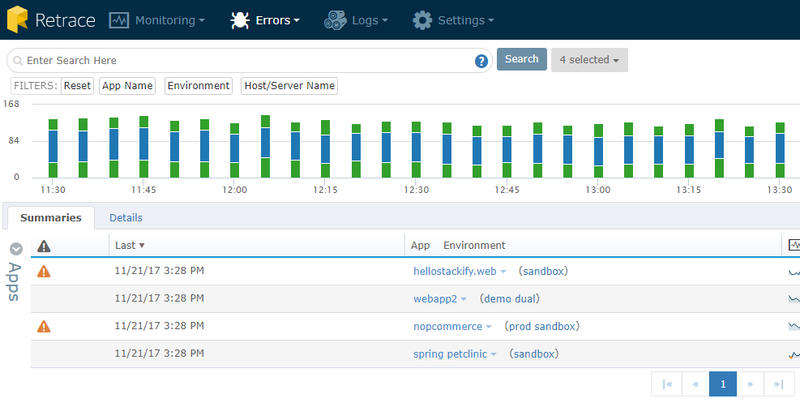 In the Logs Dashboard, you will be able to get an aggregation of all your logs from all your applications all within the same place. To see more information on this, see the article titled Logs Dashboard.